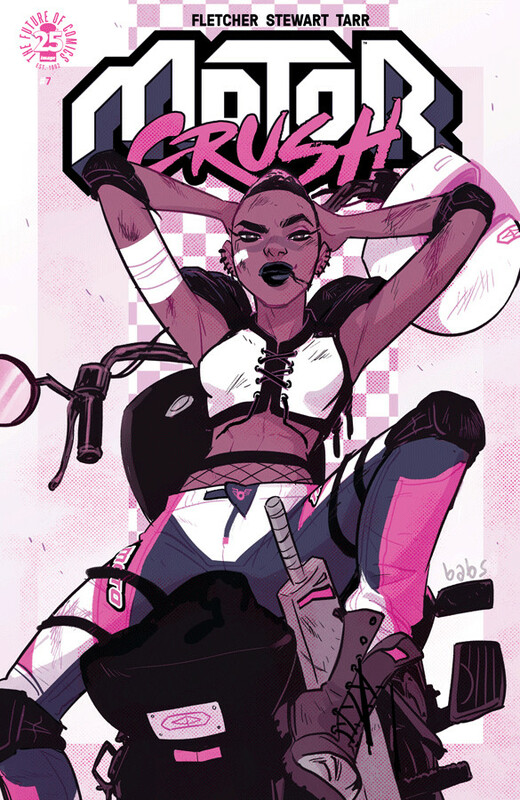 Get your engines warmed up kiddos, we’re back to the races with MOTOR CRUSH! Written by Brenden Fletcher and illustrated by Cameron Stewart and Babs Tarr, we’re back to finish up Volume One this week. Dominic Swift loves to race, and hopes that with enough cash she can save her father’s shop, protect her ex-girlfriend, and keep herself alive. But with the appearance of a mysterious figure who seems to know more about Dom’s past than she does, things get much murkier and far more dangerous.